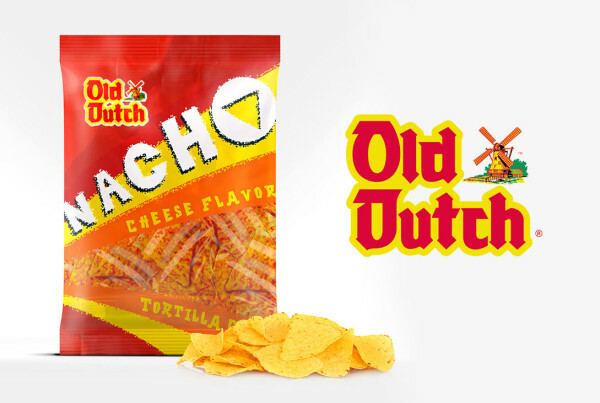 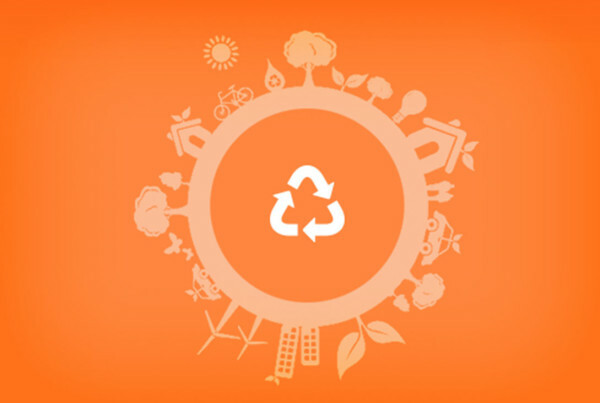 Old Dutch commissioned BIO to redesign their Nacho chip packaging. The problem they found with their current packaging was that vendors were placing the bags upside down in the display racks. 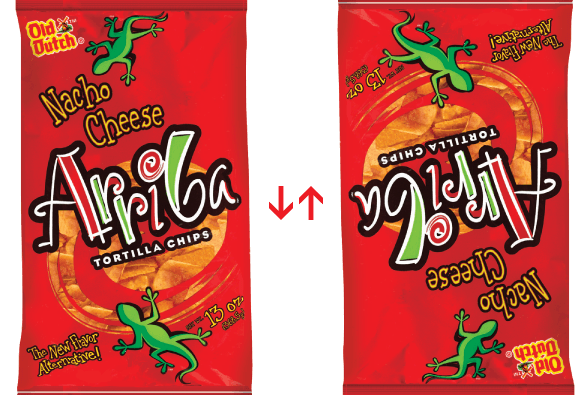 The nacho bag had two two opposing lizards and at first glance this made it confusing as to what orientation the bag should be placed while on display. 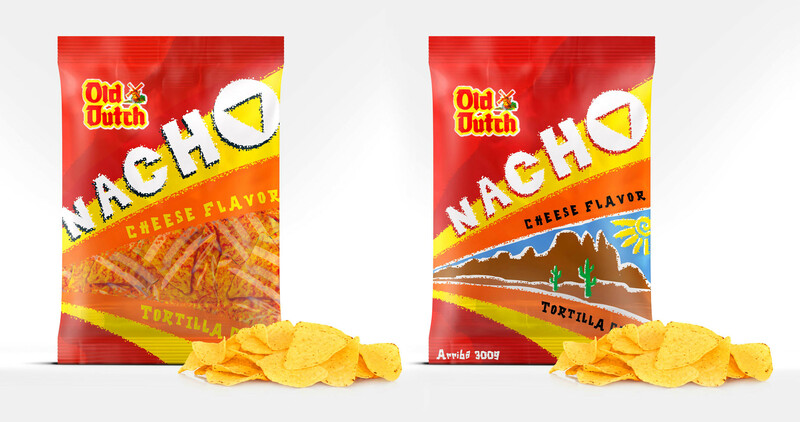 We came up with a new contemporary package design that fixed the orientation problem, enhanced the bags appearance and made the product more enticing. 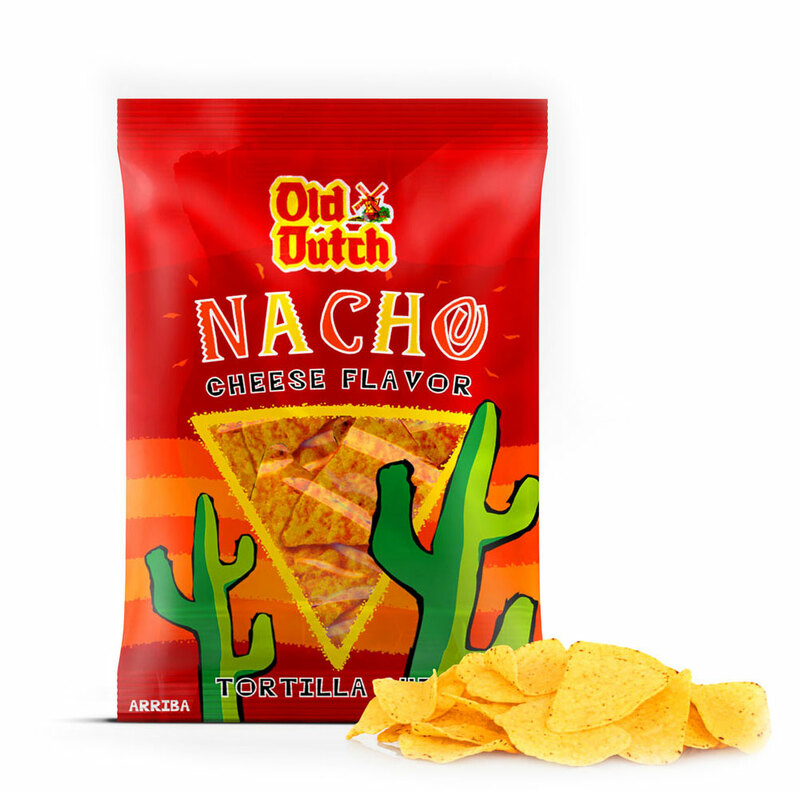 Enriching the appeal of Old Dutch brand nacho chips on the shelf.